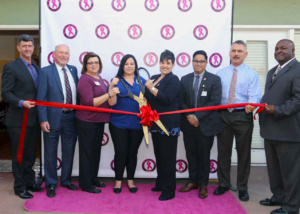 Riverside Living Magazine – Q&A with The CARE Project, Inc. – The CARE Project, Inc.
Riverside Living Magazine – Q&A with The CARE Project, Inc. In 2012, I was a single mother of 2 teenage girls and 1 son in the USAF stationed in Korea. I was the booster president for the JW North HS girls basketball program and was wondering what the next phase of my life would be after my youngest graduated high school in 2017. I knew there had to be a greater purpose for my life other than being a mother and booster at the high school. 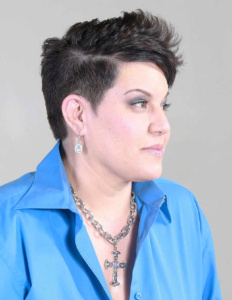 The answer came one morning as I rolled over in bed and found two lumps in my left breast and my first mammogram and subsequent mastectomy confirmed a diagnosis of Stage III infiltrating ductal carcinoma of the left breast. Was at peace with my diagnosis as I viewed it as a responsibility given to me to show others how to face this potentially fatal disease head on. I knew the statistics that 1 in 8 women are diagnosed with breast cancer. I had 32 basketball daughters and 2 of my own. I believed if any of them were affected in the future, they’d always be able to look back and remember how “Mama Carrie” handled the cancer. (This was one of their nicknames for me). Why start The CARE Project? While undergoing chemotherapy, and feeling like “death warmed over”, I wished I had a survivor to talk with – someone who had “been there, done that”. I also learned of others who were struggling financially because they couldn’t work full time. I work from home and was able to keep a full paycheck, but I still needed help from family. There are many great nonprofits that raise money for research and provide great information for patients but there aren’t any locally that really provided the type of personal mentorship I was looking for, nor cash aid. Who are the people that you help? Male and female Breast cancer patients undergoing and recovering from treatment. Our focus is on Inland Empire patients. Since we incorporated in 2014, our patients have been 100% women, but we are available to support male patients as well. We work closely with the network of social workers at Kaiser and they often refer patients to us. We are also a resource in the database for the American Cancer Society. Our main programs consist of: Chemo CARE Packages filled with supplies necessary for chemo patients (disposable masks, gloves, hand sanitizer, lip balm, special mouthwash for sores/dry mouth, bottled water, journals, scarves, etc.) Our Prom Project sponsors one teenager that has a parent undergoing treatment for breast cancer. Our Adopt a Family Christmas Campaign sponsors one family at Christmas time and provides gift cards and presents for each family member of a breast cancer patient. Our largest cash grant is called “The Pillar Grant” which is funded by Pillar CrossFit of San Antonio, Texas. Pillar hosts an annual fundraiser at their CrossFit box and then presents a portion to The CARE Project, Inc. for operating expenses and the rest to one patient in financial crisis. This grant has kept patients from being evicted, helped with a down payment on a new vehicle and allowed a patient breathing room as they recover from treatment and cannot work full time. Our emotional support consists of mentoring programs for patients as well as caregivers. We match up survivors with newly diagnosed patients so they have someone to talk to at any given time. We also host our monthly Survivor Social, a support group with a social club feel. What is unique about The CARE Project? How do you differ from others? 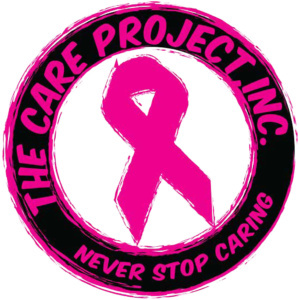 The Care Project is funded solely on donations and run by volunteers. Not one person takes a salary and that allows us to provide cash aid at the discretion of our board, based on our budget. We are not funded or under the umbrella of another foundation like other nonprofits in our area. We are also different because we focus on raising awareness regarding MALE breast cancer. 1 in 1000 men will be diagnosed with breast cancer. Not many realize that fact. What have the greatest challenges been in launching? Obtaining proper grants. We’ve only been in inexistence since 2014. Most funders require you to be in existence for 3 yrs or more. We have raised the money we have through good old fashioned fundraising, family, friends, coworkers, etc. Another challenge has been securing a diverse, professional and caring board of directors. We have a fabulous core group of founding board members, but also need professionals within our community to step up and help us further our mission in the most effective way possible. Volunteers are always needed for day to day tasks and it’s been extremely difficult to find and secure committed volunteers. How can the community get involved and help? We really need monthly supporters that will donate a set amount per month such as $10/20/50/100. The community can register their Ralph’s Rewards cards, Food4Less Community Rewards, choose us as their charity when shopping Amazon and host their own fundraisers to benefit TCP. We also host an annual gala in October honoring local survivors. This event is called The Pink & White Celebration and raises the most money for us annually. It is a celebration of life and love within our own community. We can present to our supporters the very patients they help to support. What are the Care Projects goals for 2017? We incorporated and were granted 501c3 status by the IRS in 2014. Since 2014, we’ve managed to raise $50,000 ourselves just through grass roots, old fashioned fundraising. We’d love to raise $250,000 this year and obtain some corporate grants/sponsorships so we can really maximize the assistance and support we offer. We are finding that not only breast cancer patients need support but the entire family does. Realizing a lot of children and marriages struggle through the trauma of a cancer diagnosis, we would like to start solid support groups for children, spouses and males affected by breast cancer. We would also love to host workshops and classes on prevention, recovery from treatment and caregiving. Presently, we offer nutrition, essential oil, meditation & yoga classes to our Survivor Social Club. If we can raise enough money, we could have properly trained/licensed medical professionals in to educate and support the families on a regular basis. My goal is to personally go to colleges and perhaps high school senior classrooms and talk with young women about the importance of taking care of themselves relative to breast health. If younger women were to start doing self-exams, the easier they will be able to detect any changes which could be cancer. Tell my readers something interesting or something they probably don’t know? Over 80% of breast cancer diagnoses are NOT genetic. Most are deemed “sporadic” so family history isn’t everything. NO ONE is immune to breast cancer. 1 in 8 women and 1 in 1000 men are diagnosed. Men in general, and non-white women, tend to be diagnosed at later stages and therefore have a lower survival rate. Men tend to ignore or dismiss symptoms while some cultures still have a fear of shame and embarrassment when diagnosed. What the best way for our caring residents to reach you?